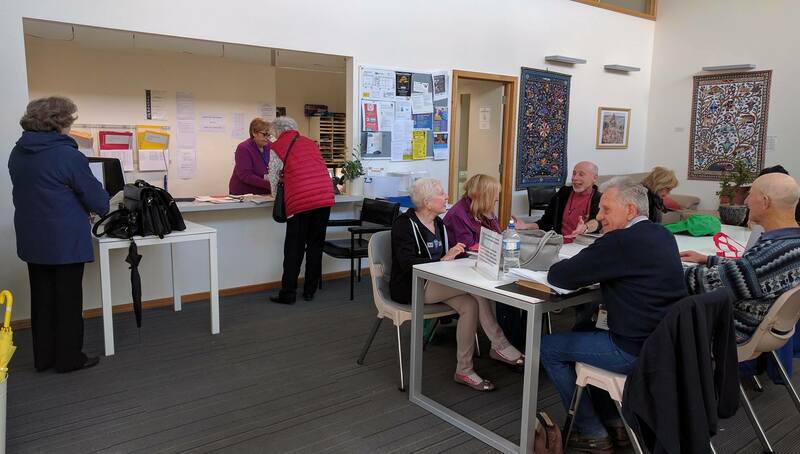 Glen Eira U3A welcomes people over the age of 55 to join us as members, tutors and volunteers to learn, share skills and knowledge and enjoy the company of other members. There are currently over 1000 members. Enrolments for 2019 commenced in November 2018. View the terms and conditions for 2019. Members may attend up to 5 full-year courses (weekly, fortnightly or monthly) as well as unlimited short courses. Fees are paid annually upon enrolment or re-enrolment and a current membership badge will be issued. This badge must be worn at all times. Members are asked to telephone the office or email if unable to attend a class. Tea and coffee are always available in the kitchen at the main campus for a small charge and members are welcome to sit and chat in the foyer. Parking is available on site at the Glenhuntly campus however parking restrictions apply.